This update applies to all users of our website, and users of the mobile app who have upgraded to version 1.5.0 or higher. Members can currently only purchase one currency per order. 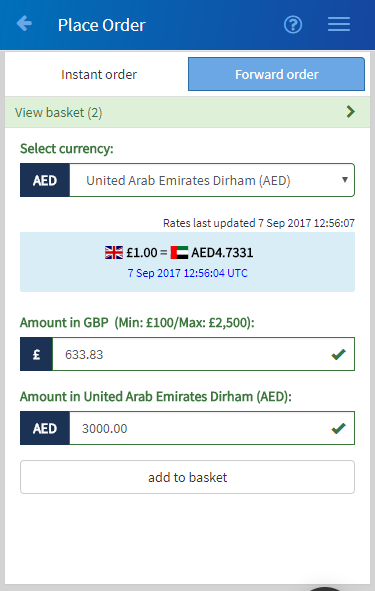 This update means members can now order up to 5 currencies in a single order, up to a maximum combined value of £2,500. This will allow members to maximise their free deliveries and support multiple-destination holidays. 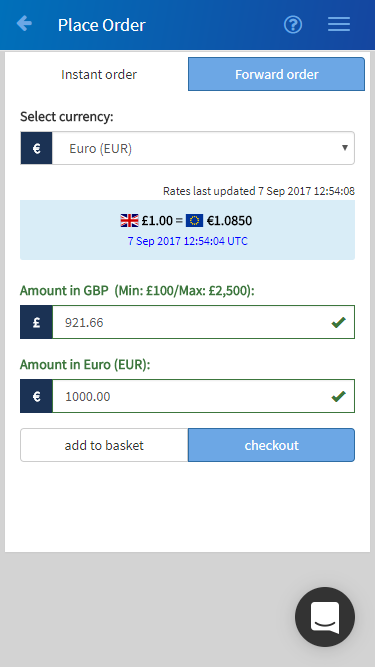 When you generate a quote on any currency, you now get the option to either “checkout” or “add to basket”. 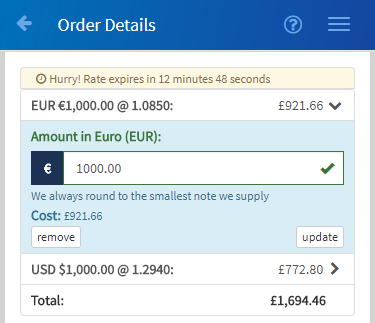 If you want more than one currency, choose the “add to basket” option and then continue to quote and add more currencies up to the single order limit available for your membership package (usually £2,500). 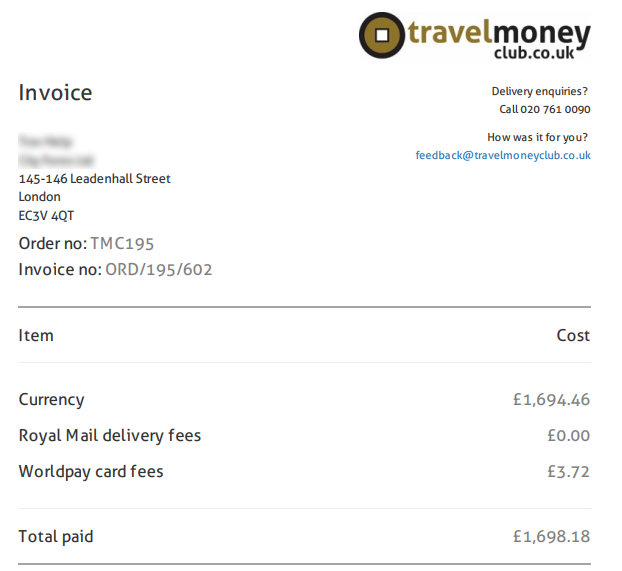 You can choose the “checkout” option any time after adding your first currency simply by viewing your basket. Just like before, once you begin the checkout we will hold the quoted rates for up to 15 minutes. 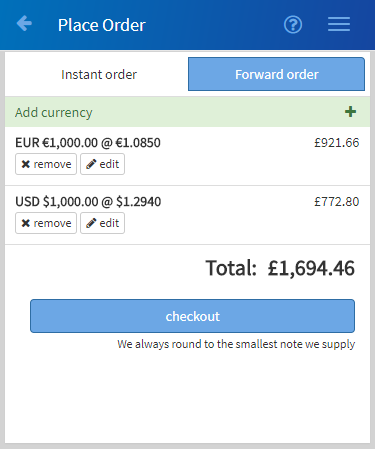 You can still change the value of each currency you want to purchase (up to the single order limit), and remove any currency from your order, simply by clicking on any currency. 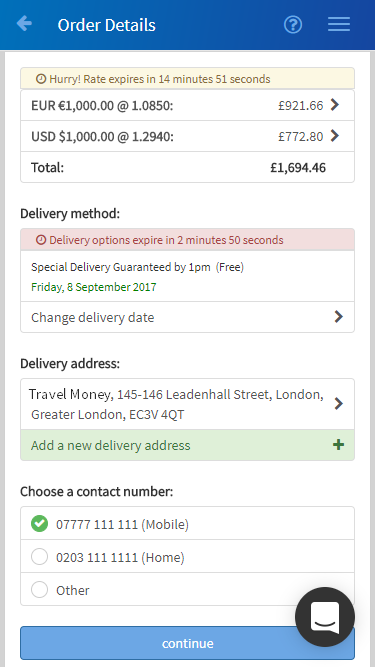 You just complete checkout in the usual way, selecting a delivery address, date and payment source. Your on-screen and email order confirmations will detail all of the currencies purchased in a single order. 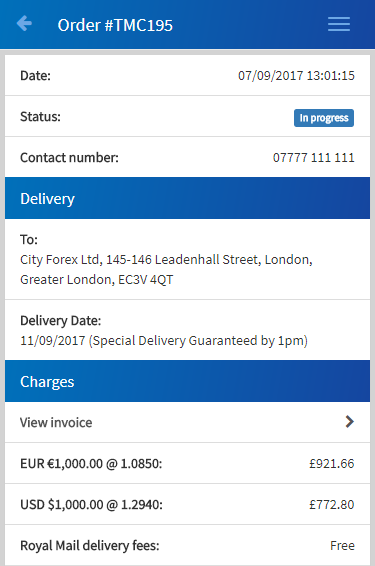 Your invoice will only detail the total amount spent on all currencies in GBP, and does not itemise the individual currencies.